MyMovieMonsters.com > Banks - Busts/Figures > Classic Monsters > Diamond Select This Island Earth Metaluna Mutant Bust Bank - VERY RARE! COLOR VERSION: A Diamond Select Toys Release! 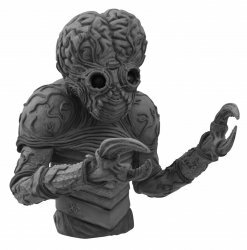 The Metaluna Mutant is back in his horrific monstrosity that served a superior intelligence in the sci-fi classic This Island Earth (as well as the Mystery Science Theatre 3000 takedown) in this film-accurate color edition of his vinyl bank! Also want the Black and White version? Click the convenient Buy Both button below!